It is my pleasure to introduce Hydes Medical Herbalists and tell you how Hydes Medical Herbalists Clinic would help you with your particular health problem. Over the years, Hydes Medical Herbalists have seen a vast range of conditions and illnesses with excellent results. We see simple problems and more complex pathologies. If it is a concern to you then our Medical Herbalists can help. Homeoclinic For Thyroid Infertility Trichology, Bangalore was established in the year 1997. We are the leading Service Provider. Dr.Joy's Care n Cure Health Clinic, the brainchild of a highly experienced 'award winning' homeopathic doctor trichologist and writer of health articles in Deccan Herald and Times of India news dailies. Dr.Joy's care 'n' cure health clinic offers award winning super specialty homeopathic treatments for all diseases like hair loss, dandruff, grey hairs, skin pigmentation problems, pimples, white patches on skin, psoriasis, eczema, warts, fungal infection of skin, e.n.t complaints like nasal allergy, nasal polyp, sinusitis, tonsillitis, piles, constipation, acidity, gas complaints, menstrual disorders, arthritis, backache, impotency, sterility and more. 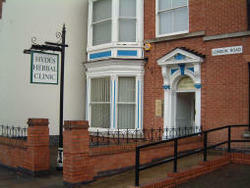 In fact ours is the only homeopathic clinic which has secured more than 90% success rate in above disorders. For outstation patients and those who are not able to come to the clinic for direct consultation, medicines can be couriered based on request.